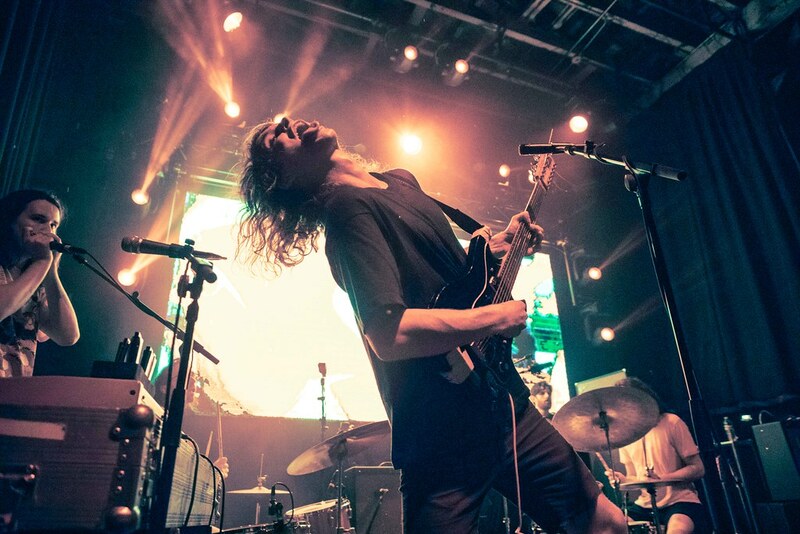 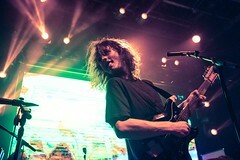 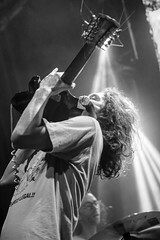 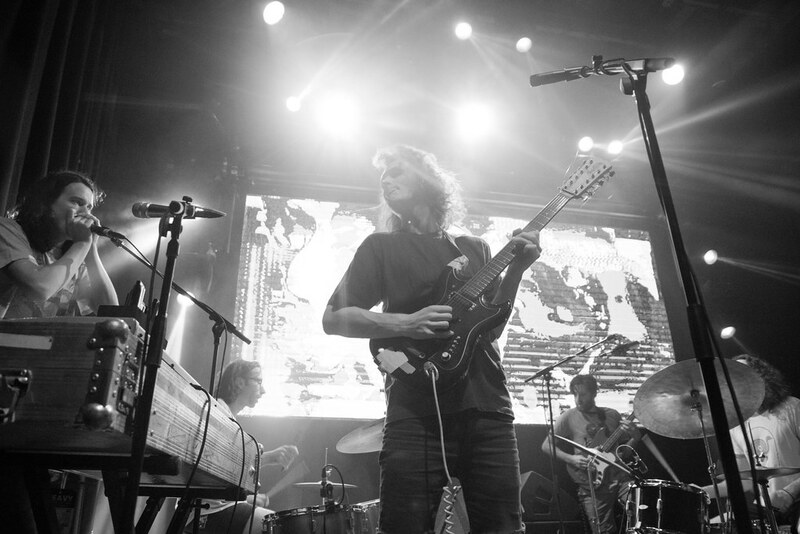 King Gizzard at the Republic. 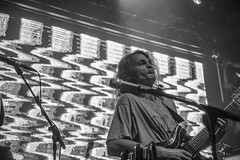 Photo by Noé Cugny. 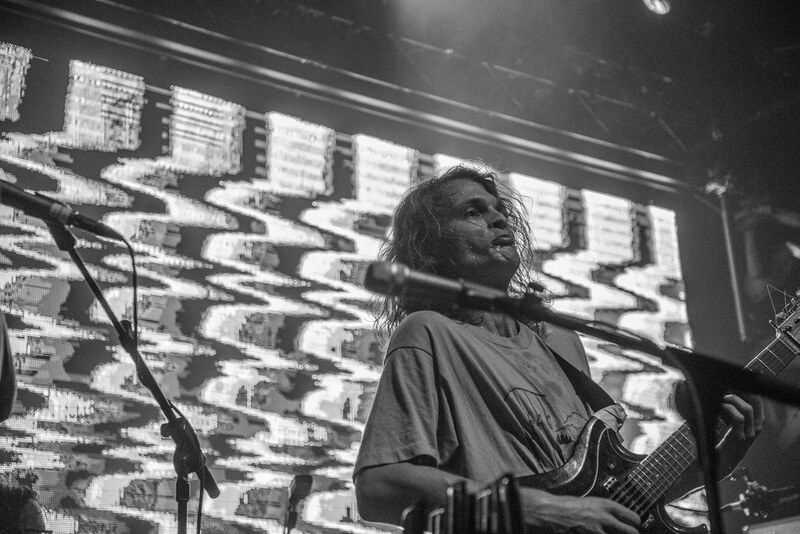 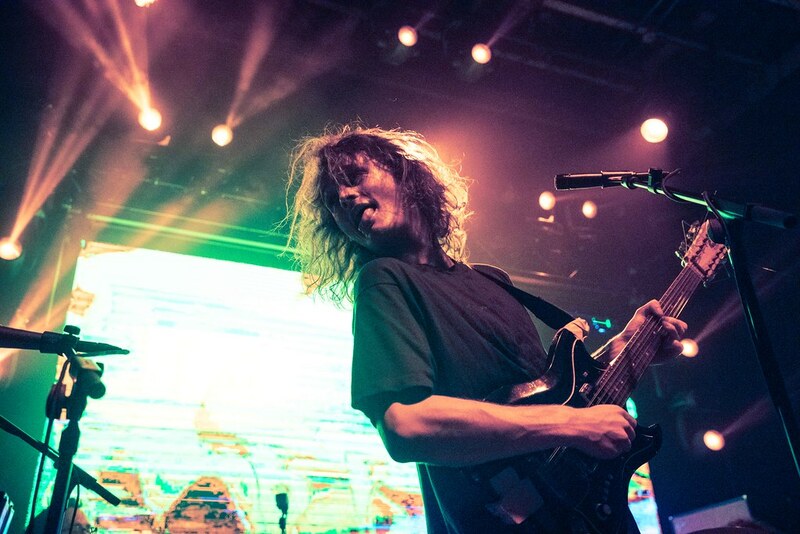 King Gizzard started 2017 by announcing they would release five new album’s by year’s end, a goal that raised many critical eyebrows with questions of quality vs. quantity, saturation and overall obnoxiousness. 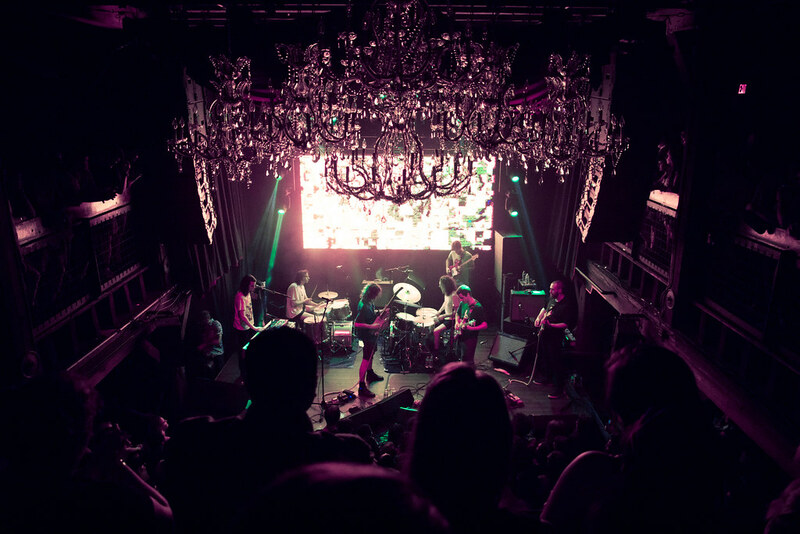 Somehow, they not only managed to make good on their promise but actually put out five excellent projects, each with a distinct concept and sound (though the last one, Gumboot Soup, is essentially a B-sides tape). 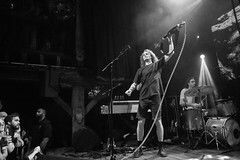 With all this content readily at hand, the Aussie freaks were able to cruise through a 100-minute, 20-song set without pause and still leave their adoring audience wanting more. 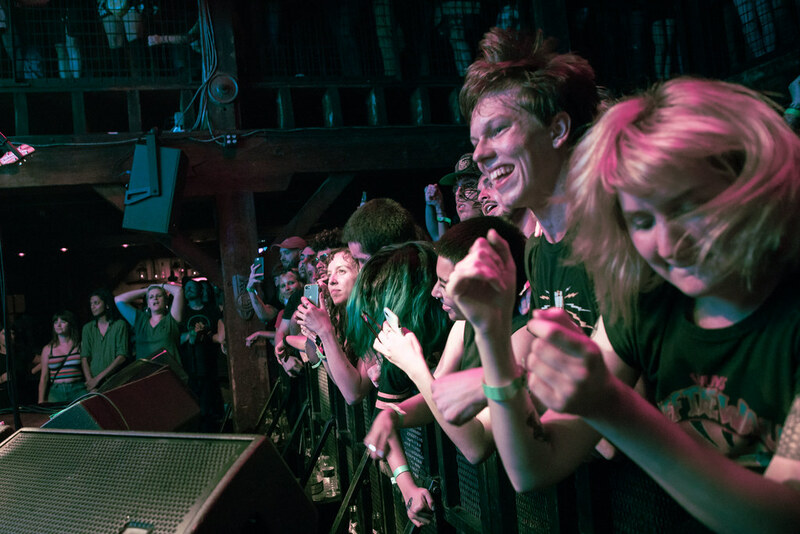 The first 20 rows or so of open area in front of the stage were a melee from start to finish, but the antics only kicked into full gear on the set’s last leg with “Rattlesnake,” a high-speed, repetitive jam that brought the headbangers and elbow-throwers to life. 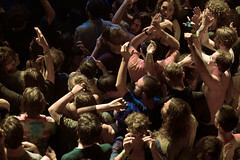 The pit was less a mosh than a swaying mass of sweaty bodies (standard fare for a sold-out Republic show), so it wasn’t surprising when about a third of the pit fell down during an extended jam on the hard-rocking “Wah Wah.” Luckily, no one seemed hurt from that particular debacle, but I did hear later that one unfortunate crowd surfer broke his foot earlier on. 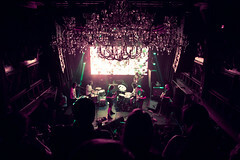 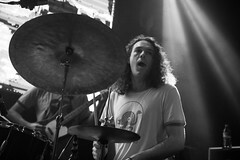 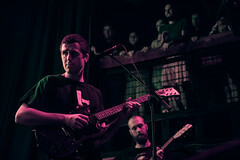 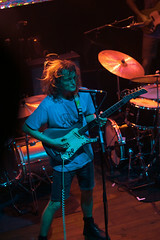 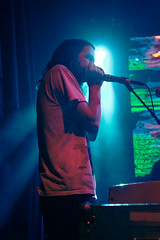 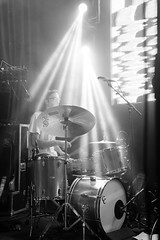 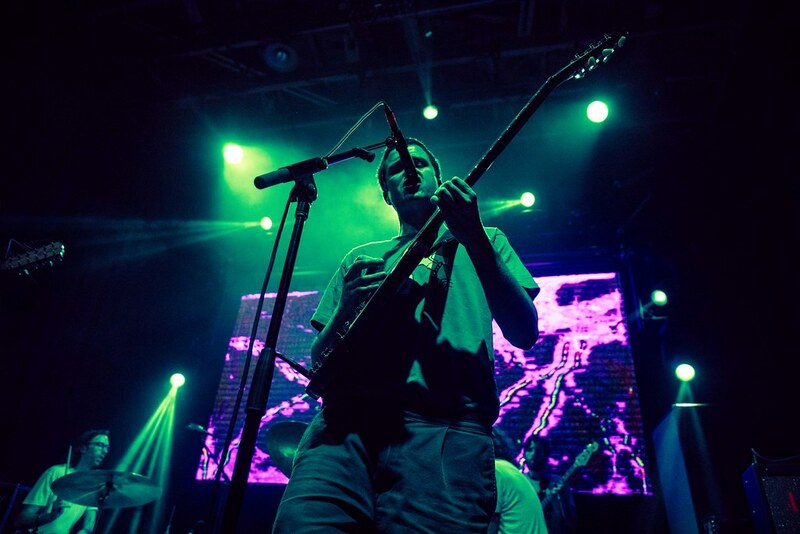 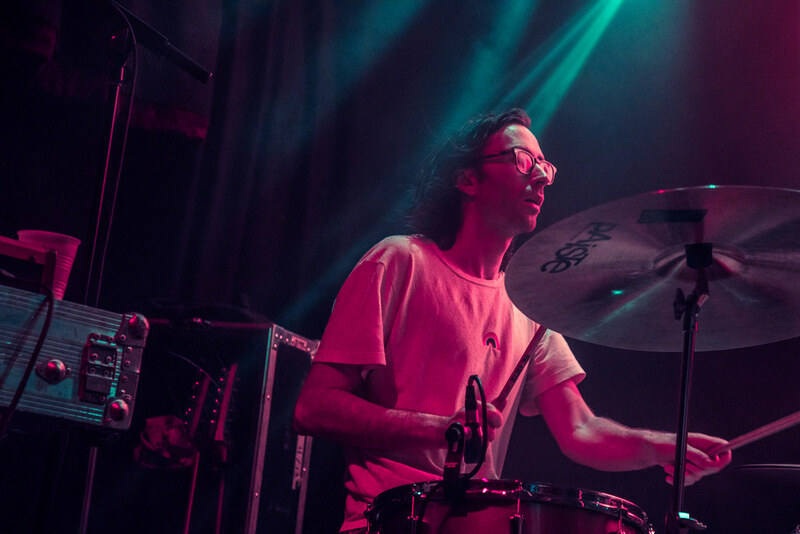 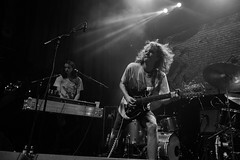 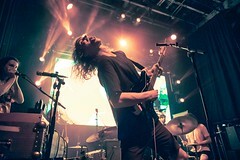 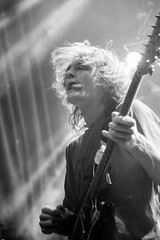 “Wah Wah” opened a three-song run of tracks from Nonagon Infinity that closed out the show. 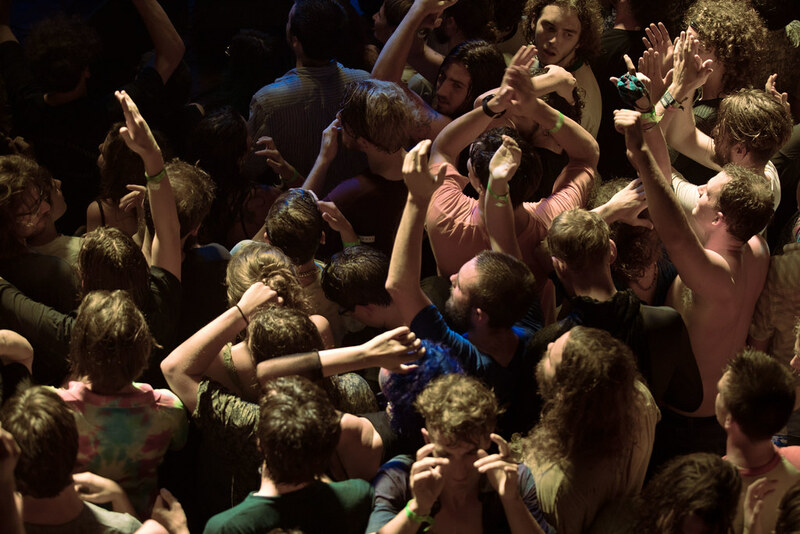 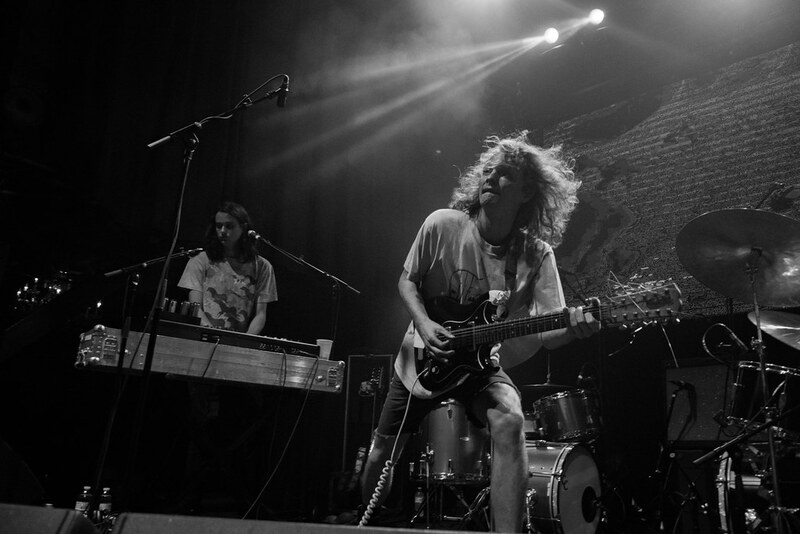 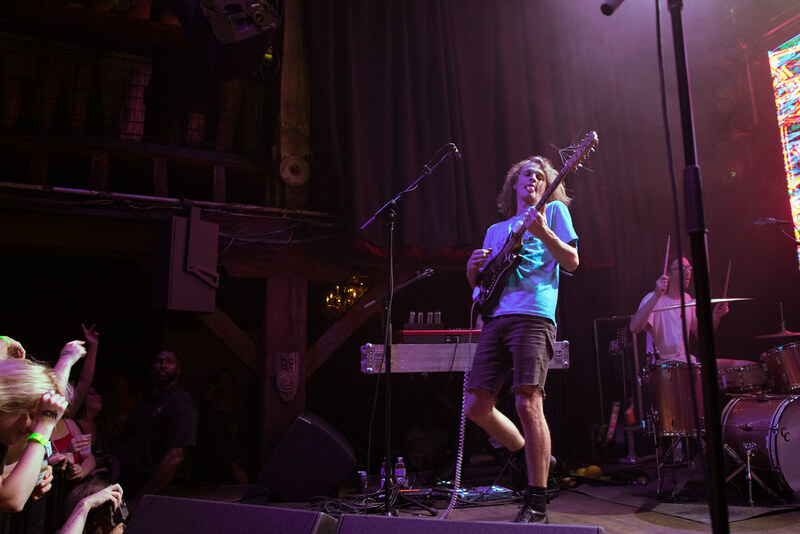 King Gizz finished with the frenetic “Robot Stop” and the hectic “Gamma Knife,” pushing the overtired crowd to mosh until the set’s final moments and expend its last breaths screaming for an encore that never came.